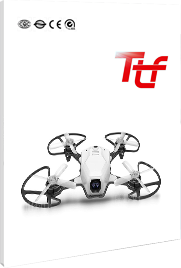 T1 hawk quadcopter drone, specially designed for agricultural spraying, integrated advanced depth customization flight controller, efficient spray system, portable folding fuselage and simple professional remote control to provide users with efficient, safe and convenient plant protection service. Black hawk drone is easy fold-up design is convenient for delivery, assembling and transportation, without weakening the original structural strength. The fold-up design can decrease 80% of the using space. We have a lot of different frames for your options. And we can also provide customize service to design new frames. T1 drone black hawk spraying system equips a 10L capacity of wave-proof tank, efficient brushless pump, two quick-release sprays and four nozzles. Based on the actual tests, spray width is 4m and operating efficiency is 1.6L/min. The wind-resistant nozzle can decrease pesticides float in the air and economize spraying operations. User can select the operation area on APP, and set operation distance, flight speed, altitude and other information. T1 will automatically fly back and forth according to the specified distance and traverse the entire area to complete the work, and the land operation is more convenient. When detect the following signals such like the secondary battery alarm, low dose alarm, losing ground control signal, one key to return, T1 will automatically shut off the water pump, and make the current point as the continued point to spray. By the function of 'one key to return', UAV can fly to the continued point to restart operation, which ensures the continuous operation of plant protection. When the dosage is lower than the warning value, the led indicator will flash. It will shut off the pump and record this point as the continued spraying point. T1 provides a black box function, which can record the flight data completely. T1 data recording module can support 100,000 times cycle read and write. The maximum cumulative 32-hour flight data can be recorded.